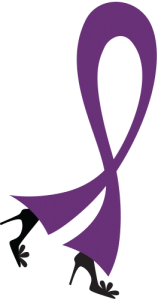 If you or someone you know has been touched by gynecologic cancer, you know the challenges that are faced. Our job, as an organization, is to keep this cause front and center for women, the medical community and legislators who appropriate funds to support awareness, research and new diagnostics and treatments. Your contribution will help support all of the Betty Allen Gynecologic Cancer Foundation’s education, research, advocacy and service programs. More than half of our funding comes from individual donors who share our goals in an effort to conquer gynecologic cancer. The Betty Allen Gynecologic Foundation is a 501(c)(3) nonprofit organization, as defined by the Internal Revenue Code. Donations are tax deductible to the fullest extent allowed by law. Many people choose to share their good fortune and happy occasions by contributing to an organization that is close to their hearts. You can incorporate charitable giving into your special event by registering with the I Do Foundation. To learn about how to create a charity registry for your wedding (or event) and give back to the Betty Allen Gynecologic Cancer Foundation for every item your guests purchase, or for information on how to turn wedding or party favors into a donation, contact idofoundation.org.